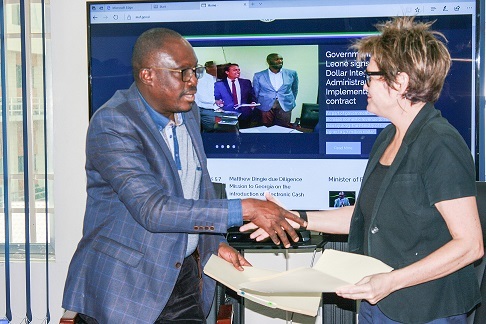 The Minister of Finance Jacob Jusu Saffa on Thursday 21ST March 2019 signed US$ 40 Million budget support grant from International Development Association (IDA) with World Bank on behalf of the Government of Sierra Leone. In his opening statement in a short ceremony at the Ministry of Finance, The Financial Secretary Sahr L. Jusu thank World Bank country team for their effort in securing the grant. He continued that, the initial negotiation was for a loan of US$ 20 million but this was converted to a grant and increased to US$ 40 million because Sierra Leone was able to implement the triggers in the program like improving financial performances, Fighting Corruption, Improving Transparency and accountability of Public Funds, Commitment not to borrow more, the introduction of the Single Treasury account System and others. The World Bank Country Manager Gayle Martin in her Statement said, this disbursement is to improve Public Financial Management in Transparency and Accountability on Government Funds, promoting transparency in Mining Sector Contract, boosting Electricity to benefit households, Asset Disclosure and Education she ends. 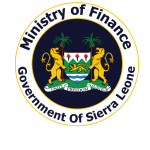 The Minister of Finance Jacob Jusu Saffa in his statement said from March last year, the Government of Sierra Leone was only able to implement three out of the twelve prior actions that was agreed upon with Bank, but stated that since April last year to date the government under the leadership of President Bio have implemented all nine prior actions named Triggers in the program. Minister Saffa further expand on some of the reforms in the prior action we like transfer of responsibilities of Teachers Management from the Ministry of Education to Teaching Service Commission, Fishing and Agriculture, the implementation of the Treasure Single Account (TSA), enacting Extractive industry act, Asset Disclosure and more. Government on the 30th January 2019, successfully negotiated the second operation of the Productivity and Transparency Support Grant programme. This was as a result of Government’s accomplishments in maintaining adequate macro-economic stability and the implementation of policy reforms in Agriculture, Fisheries, Energy, Education, Fiscal Consolidation and Anti-Corruption. The initial Budget Support amount from the World Bank was US$20 million loan; but this was increased to US$ 40 million and converted into a grant due to the impressive performance of Government. The Executive Board of the World Bank approved this grant amount on 19th March 2019 followed by the signing ceremony on the 20th March and the disbursement would follow shortly after.